Holiday Motel is a comfortable hotel conveniently located near the center of Bend. Local tourist attractions such as downtown Bend, the Old Mill District, and Les Schwab Amphitheater are close to the hotel, offering multiple options for dining, shopping, entertainment, and soaking up the Bend culture. Holiday Motel is also very close to the Deschutes River, which offers biking and hiking trails, paddle boarding and rafting, fishing, and bird watching. Just a short drive out of town is Mt. Bachelor, which offers world class skiing in the winter and a multitude of lakes and other natural wonders to visit when the snow melts. Holiday Motel has 25 guest rooms featuring queen or king beds, free WiFi access, refrigerators, microwaves, and coffee/tea makers. If you are traveling with a larger group, the family suite sleeps up to six people in a spacious 800 square foot suite complete with a fully equipped kitchen. 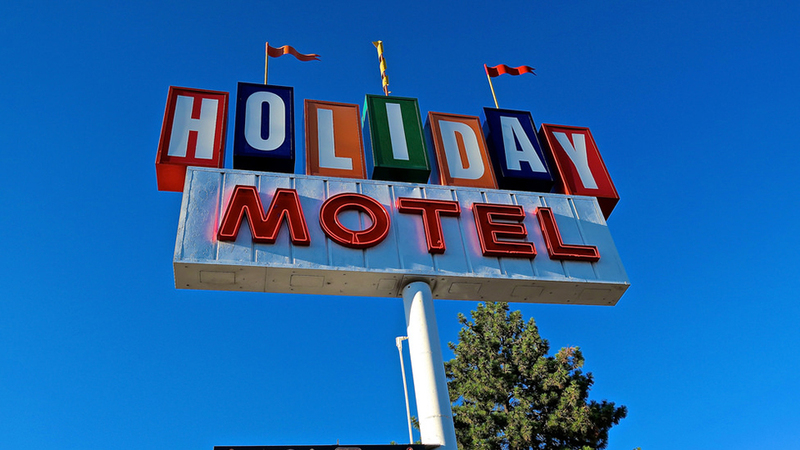 Whether it is business or pleasure that brings you to Central Oregon, make yourself at home at Holiday Motel.